"Love" token, awarded by KloWorks. "Love" token, awarded by sebastianmroy. When using the Move gizmo and selecting items, the gizmo will appear next to the cursor. If the user then drags inside the center circle, the effect is currently somewhat random and arbitrary. The item may move along an axis, or not at all, depending on what exact pixel is dragged on because the axis gizmo handles extend into the circle. 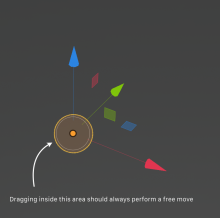 To make this more predicable, we should make it so that if the user drags from anywhere inside this circle, the result should always be the same: a freeform move. 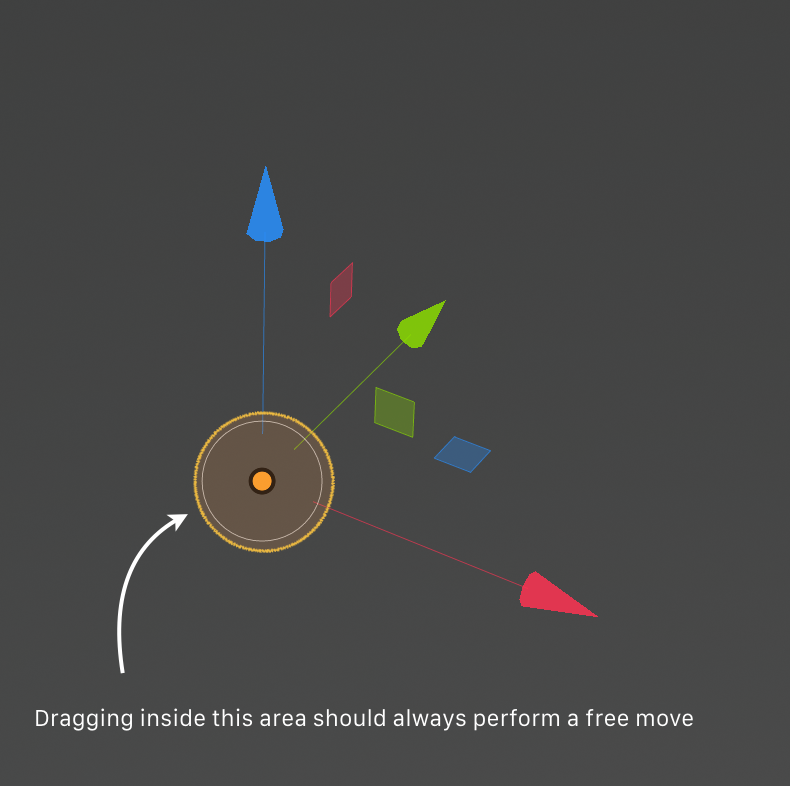 In other words, dragging inside the circle should override all other input. @Benjamin (51423benam): Correct, yes. But the problem here, is that when you drag inside this circle, input is often captured by the directional handles, making it error-prone in practice. I'm not sure where to change this, sorry. @Campbell Barton (campbellbarton) Would you know? Campbell Barton (campbellbarton) added a commit: rBdec9e34361b4: Gizmo: use fill select for scale/transform center.